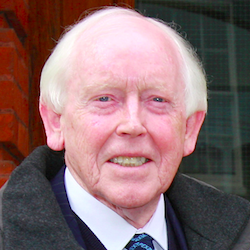 Eddie O’Gorman OBE founded the charity with his late wife Marion in memory of their two children, Paul and Jean, who tragically both died of cancer. Since then, he has devoted his life to fighting childhood cancer. Eddie was made an Honorary Fellow of University College London in recognition of the charity’s contribution to cancer sciences in the UK. He was awarded an OBE in the 2010 New Year’s Honours List, a much deserved tribute to his commitment, dedication and determination to the Charity. In October 2018, Eddie received the Pride of Britain Lifetime Achievement Award in recognition of a life devoted to fighting childhood cancer. His work has had an undeniable impact on childhood cancer. 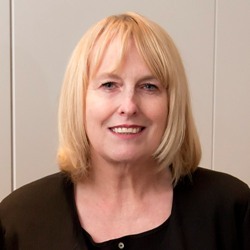 Daughter of Eddie and Marion O’Gorman, Sandra is the charity’s most dedicated supporter. She has been involved in almost every aspect of the charity’s work since we were founded in 1988. As a family charity, we were delighted to welcome her to our Board of Trustees in 2005, in the year her father turned 70. Best known for her roles in Birds of a Feather, Linda is a committed supporter of Children with Cancer UK and a long-time personal friend of the O’Gorman family. Linda joined our Board of Trustees in 2005. 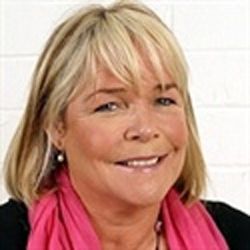 Linda has represented the charity at many of our fundraising events and has spearheaded numerous successful fundraising appeals, including some with her Birds of a Feather co-star, Pauline Quirke! Linda also kindly agreed to narrate our charity video. Alasdair, our latest trustee appointment, has been a supporter of the charity for over 20 years. A professional engineer and scientific researcher, Alasdair is seen by the Government and the electricity and wireless industries as a respected stakeholder and is recognised by the national media. 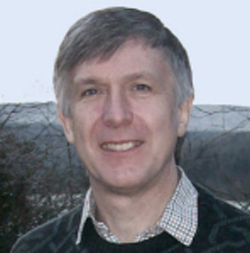 Alasdair has been a member of a number of UK Government and EC working groups on electromagnetic fields and health and has a wide knowledge of many other environmental health issues especially relating to the causes of childhood cancer. He has chaired and presented at international conferences on these topics. In June 2018 he and colleagues published a highly read paper on changes in incidence of malignant brain tumours in England 1995-2015. www.hindawi.com/journals/jeph/2018/7910754/ Alasdair MacLean Philips BSc, DAgE, MIAgE, MIEEE.